Two days left in 2013 – an easy and comfy lunch is in order to lean and look back on the past months. I feel like a quick carpaccio with fennel, caper and lemon, fresh and light, the right foundation for an honest review of an exciting and inspiring year – and the start of eat in my kitchen! My mother told me about this vegetarian carpaccio which she enjoyed at a restaurant in Italy, so much that it became part of her – and my – recipe collection. Sometimes she is so excited by her food discoveries that she calls me immediately after she ate to tell me about her find. 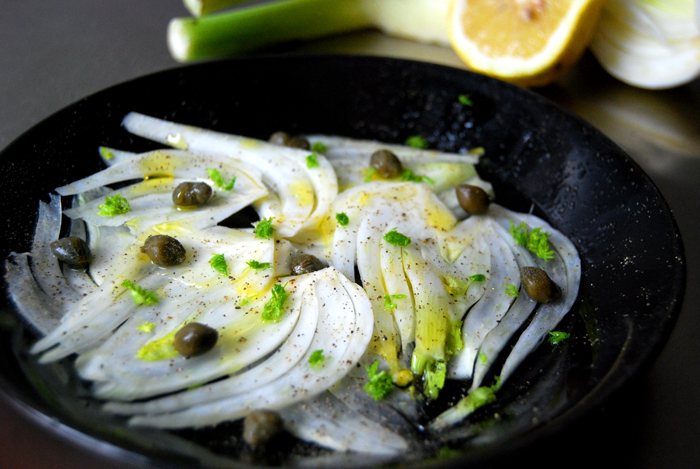 She knows that I love fennel and caper – a perfect match together with lemon and olive oil. 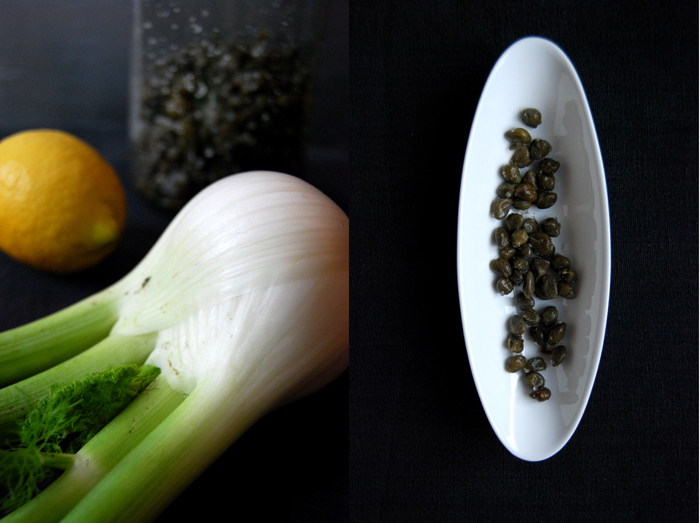 I can get good quality fennel all year round therefore I cook with it quite often. As much as I love this carpaccio as a quick lunch because it’s so easy to prepare, it makes a beautiful, light starter as well. 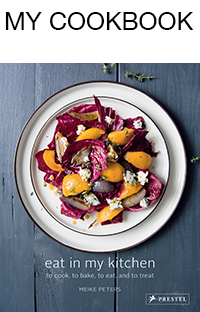 As a starter for 4, cut 1 fennel bulb in very thin slices and arrange them on plates. Add 6-10 capers on each plate, mine are salted so I have to rinse them first. Drizzle some olive oil and fresh lemon juice on top and season with salt and pepper. It only takes a couple minutes. i especially like your plating here… chic, yet unpretentious.